An original art piece created on specialized software and carved into carefully selected wood then hand finished, stained, sanded and stained again. 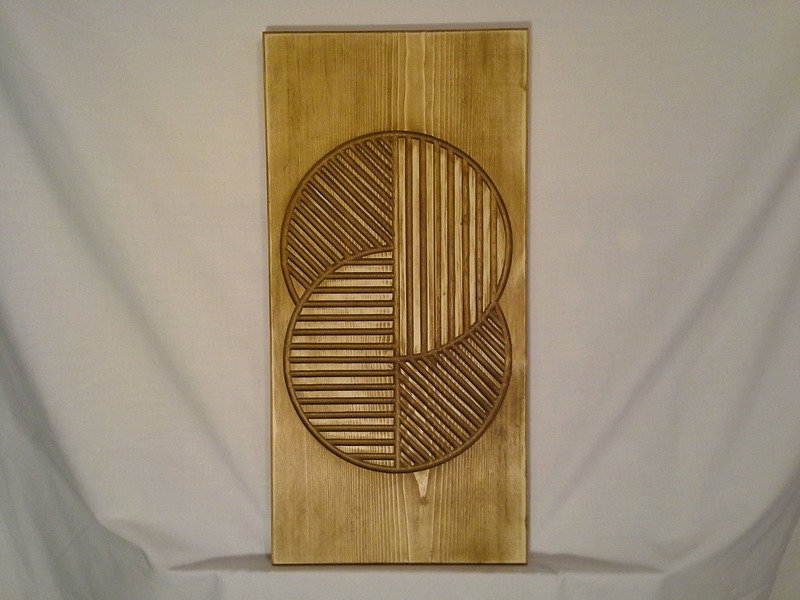 An interesting and entertaining geometric abstract that falls between traditional canvas art and sculpture, the pattern is carved into the wood. This is a very nice visual piece and is touchable art that entices the observer to reach out and trace along the different cutout paths. An unusual and wonderful addition to your art collection!